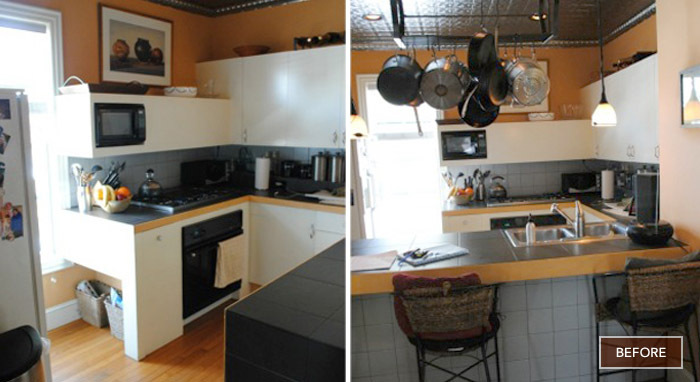 Meticulously planned and executed, this kitchen makeover gave the homeowner exactly what she wanted – and more! Says homeowner, Amy, "I knew I wanted a look that was light and airy, yet polished and elegant, and that's exactly what my designer helped me achieve. What I didn't expect was the amount of cabinetry and storage space I was able to gain, while still maintaining the feel that the space is very large and open." 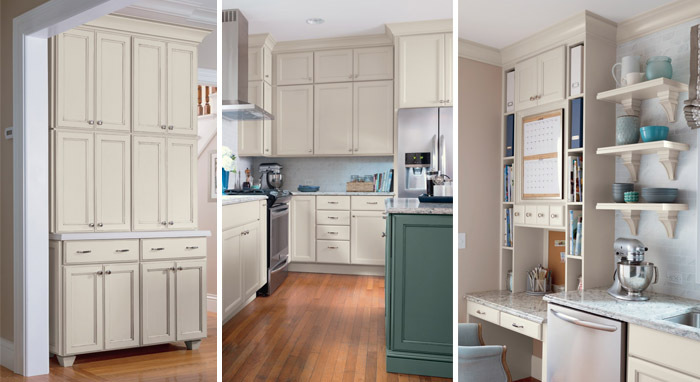 Amy happily bid farewell to small, cramped and crowded when a key wall came down, showing off the exciting possibilities, and said hello to clean-lined Hanlon cabinetry in breezy Maple Dover, which beautifully brightens the new, skillfully designed layout. 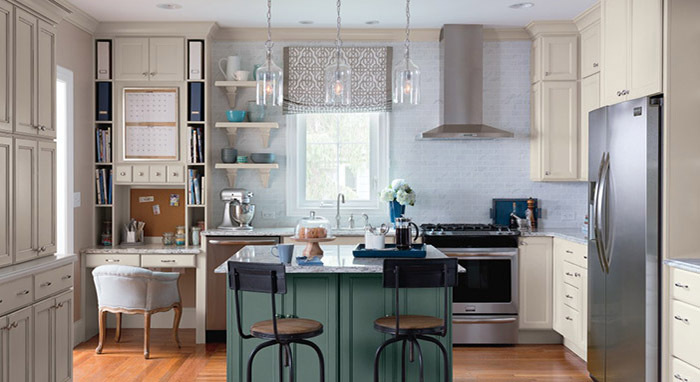 Well chosen details, including the pale gray subway tile, beautifully veined quartz countertops, shapely corbels and graceful pendant lights add just the right amount of balance and visual interest without overpowering. Wisely chosen storage options abound, ensuring there is a place for everything. 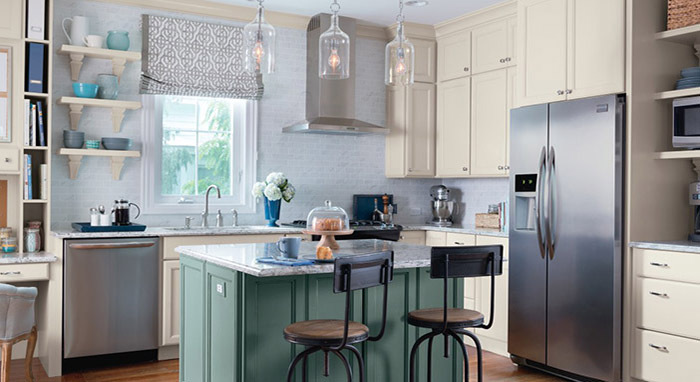 A pantry wall and banks of deep wide drawers conveniently store food items, cookware and more, while open shelving prettily and practically displays dishware and other frequently used items. Cabinets installed to ceiling height provide even more storage, perfect for holiday and other less commonly used things. And, finally, the built in desk provided an ideal spot for perusing recipes, paying bills and handling other small tasks, while the island, the shining star of this kitchen in a striking Maple Oasis finish, provides the perfect perch for quick meals, homework, and casual entertaining.